for dedications or in memory of lost GIST patients. Spread Awareness & Wear GIST Cancer Find The Cure Bracelets! 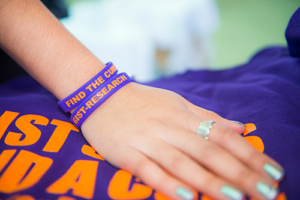 Donate $15 or more and receive two, Find The Cure GIST Cancer Bracelets. Your donation supports the research which helps to eradicate GIST Cancer.